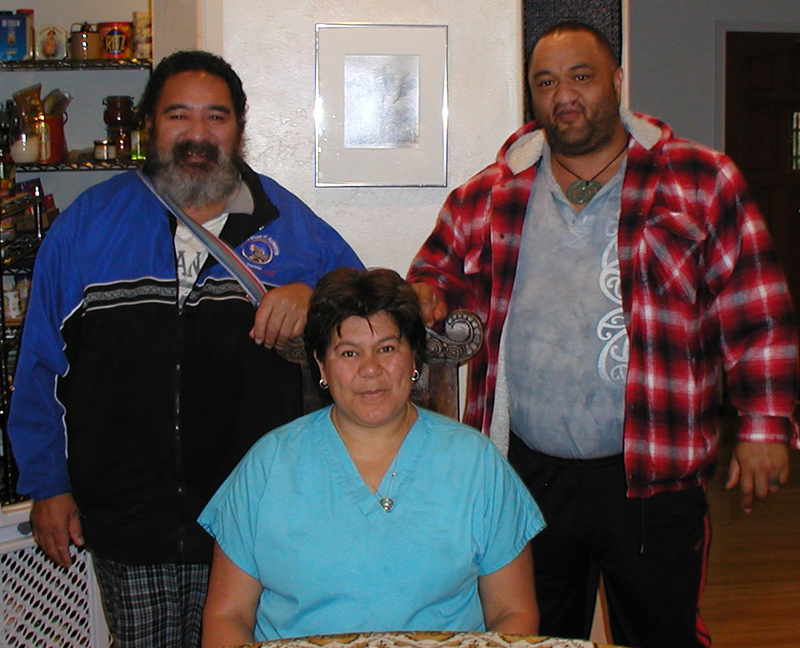 Papa Joe and Manu – Maori Healers extraordinaire. For those who knew our Elder/Master Teacher/Tohunga/Shaman, Papa Joe, they would know how unrivaled he was in his teachings and knowledge, particularly in this modern day arena. The other side of that though was this man who had a huge sense of humor, apt to break into big gales of laughter, could laugh at anything and usually when something tickled his fancy (as we say at home) he would giggle like a child, gnawing on that for ages. There are many stories in our memories of Papa and over time this is a forum for some of them from the many wonderful people we have met on our global journeys. Papa told us many stories from his childhood. One in particular sticks out because it showed his ability to laugh at himself. This is about him as a 12 year old and walking out of the bush down in Whitianga (East Coast) where he grew up, and seeing his first pakeha (white person). He thought this was the kehua (ghosts) his old people used to talk about, so he turned tail running to his great grandfathers house screaming and crying thinking the kehua was there to get him. He told this story with great relish and an impish smile on his face. Then of course there were the numerous times we would be on our road trips traveling around the US or Europe or even at home in Aotearoa, teaching and sharing the healing arts with those that were interested. No matter the number of people present be it one or one hundred, his passion to teach and share were paramount for him, and for this the allowance that his whanau (family) gave was most awesome. They knew that he was bigger than just being a husband, father, grandfather, uncle, friend. I now know part of Papa’s purpose was not so much the teaching and or healing that he did, but it was the way that he touched people. He would blossom them in to being. He would nurture them to bring forth their nectar, and he would challenge and encourage so that your belief in reaching your goal was more than a distant possibility. And education was important to him. To this day, Papa has many students who became teachers or furthered their education in different areas due to his insight, knowing and ability to believe in them. In his classes, he would start with a takutaku, an ancient chant (prayer for want of a better word) that he would give this to his students, then he’d begin to interpret this taonga (treasure). One of his groups, the takutaku that he gave had 1,300 verses. This meant that each verse was a whole new workshop in itself. He would break down the words and much of the languaging he used, we do not have in our everyday speaking any more. The language he used and understood, was poetic and metaphorical. This is why so many of our ancestors / elders loved the writings of Shakespeare, or could quote the Bible because it was alive and descriptive for them. Papa had a scientific knowing that was second to none. His cosmology, pharmacology and universology were way beyond the physical realm as we believe we know it. There was one occasion when we were asked to speak at a Noetic Sciences meeting (of which we’ve done several over the years) in Santa Monica. The topic was the phases of the moon. There were a quite a few learned scholars there, who when they got up to ask him questions, would first introduce themselves and their credentials i.e. Professor John Jay Higgins of UCLA, MA, MASc, Dr. etc. Papa would answer from his experience, and went on to tell them of what his Grandfather had taught him about the moon, and the phases of the moon, not just that it controlled tidal flow, physical liquids within the body, moved all bodies of water on the planet, food, planting, fishing, but also mental and physical peaking in man and animals, colour of the moon (i.e. meaning acidity/sweetness in the earth), large body of people leaving (death), large body of people coming (birth – resurrection). Papa spoke of the feminine essence of the moon, the spiritual circle, woman linked indelibly to the moon through her cycles, emotional upheavals in relation to the moon as well as the womb, and much more. Papa was able to describe areas that were known only to a specific community via the photos they were sent from manned space ships (NASA). These weren’t pictures that could be found on the internet or in books. When asked how did he know this kind of information, his reply was, “Well, because I’ve been there. With my Grandfather”. Then he spoke about how they would often go for journeys to other places, dimensions, planes, galaxies, stars. He could describe in detail some systems and planets yet to come into our orbit. While this threw many into bewilderment and some confusion, he could also see an eagerness in them wanting to learn more about this ability to ‘travel’. When asked about this, most times depending on who was asking, he would become cagey and just sit back and wrap his big hands around his puku and close his eyes. Like a buddha amongst a little bit of chaos. Little did they know, he was transporting himself back there….on a first class ticket to ride…. People are wanting to know the spiritual way, and our Elders like Papa Joe are or were the keys to attaining that knowing. As a spiritual leader he should still be here today, but in my words, he got used up. He was expected to travel from one place to another to heal and help, and this he did gladly and willingly. We, all who knew him, know this to be true. Yet he did not have the financial support to do his work with comfort and ease, his need to provide in all ways for his family were paramount to him. Papa continued to give and went into a negative energy expense which the result was a life well lived, but ended too soon. People like Papa are becoming scarce, not only in Aotearoa/New Zealand, but all over the world. We need to know and understand the sacred teachings of our elders and if they’re not here, then we will continue to struggle. We need their wisdom, their patience, their willingness to continue to teach no matter what. Papa was a fine example of this, and he would teach no matter where he was, in the bush, a mansion on the hillside in San Francisco, in the back of a bus driving to Timaru. I have a deep respect for the work that Papa did, and for those who continue to teach his teachings. This is the greatest compliment we can give him…acknowledging his work, teaching his work, and keeping it alive and real. This September 21st will be the second year of his transition. There are times when I miss him like it was just yesterday that he left us. I feel his presence sometimes. I imagine I can hear his laughter. To Joann, the love of his life, his wife and the mother of his children, Rawinia and Korimako, thank you all for giving us so much of his time. To Tiana, his grandchild, when he spoke your name his love for you could be heard in the timbre of his voice. What an amazing family you all are. A grateful heart says thank you.